From 5th to 8th April we have been to IFH of Nuremberg ! 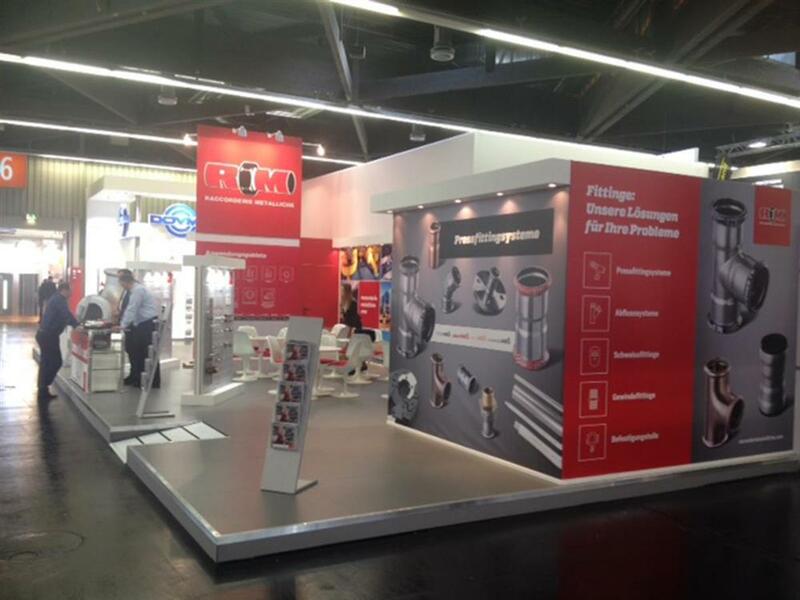 IFH is a crucial show for all the professional architects, designers, installers and consultants in the civil, industrial and commercial thermo-sanitary sector. 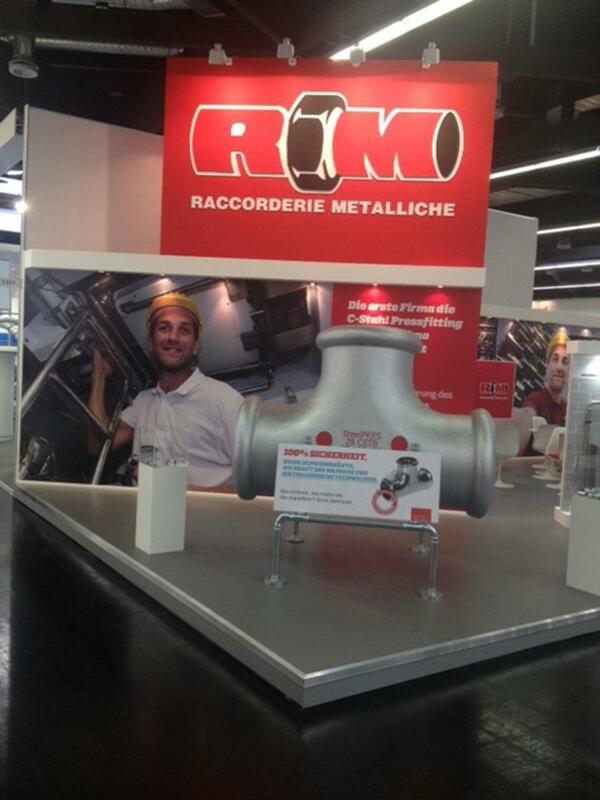 More than 700 exhibitors presented their products, solutions and services along the 4 days of the fair. 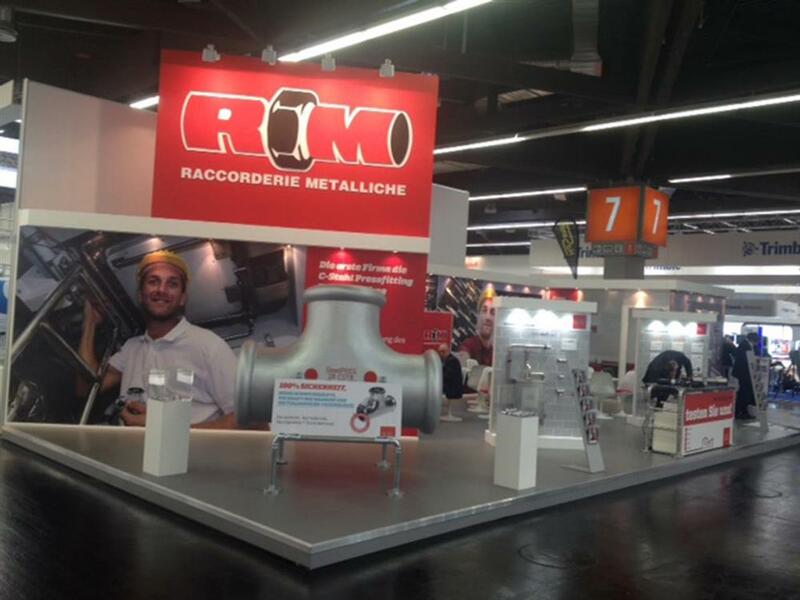 Raccorderie Metalliche took part to this event with a 90sqm booth where has exposed its pressfitting range and other important news; in particular the seamless reduced Tee range in carbon steel. 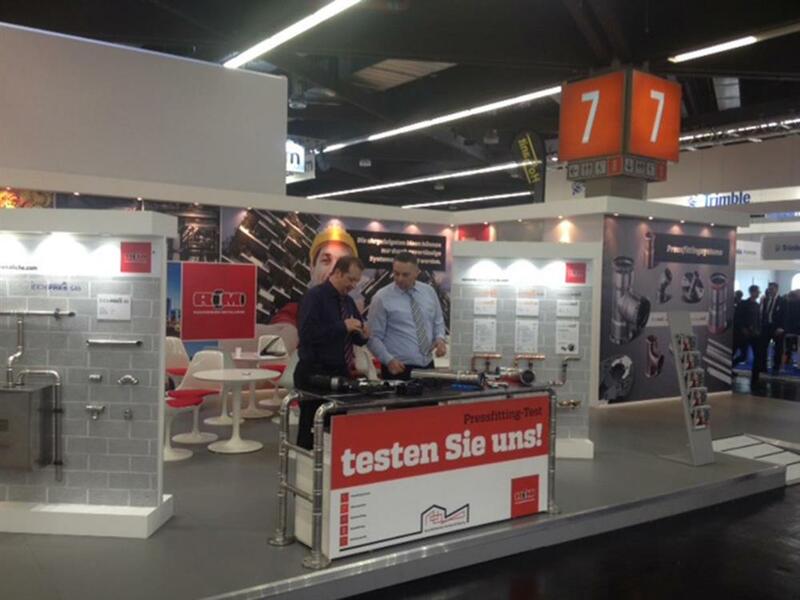 A polystyrene made 2 mt high in stainless steel finishing Tee, was welcoming visitors and curious to our booth; where they could test out products at the installer desk. We like to thanks you everybody for visiting our booth, contributing to the success of our participation.